In many parts of the western world, residents are looking forward to the summer. But now that ours is over, we’re starting to gear up for cold weather. Our sunny season this year offered risky heat extremes and flood-level summer showers, so it’s likely our winter temperatures will be lower than usual as well. Instead of waiting until your teeth rattle, start shopping for heaters now. After all, most inhabited regions of Australia won’t be snowed under (apart from the Victorian Alps) so while you might not be swimming, you’ll probably still use your yard. Also, shopping for heaters during the off-season means you’re likely to catch some summer discounts. At Hawkesbury Heating, we have a wide array of more than 120 wood heaters, gas burners, and electric heating brands. If you’re looking for an indoor wood burner, try the Blaze B905. This free-standing model is easier to install than an insert, and it can heat up to 24m2 at 84% efficiency. It’s a fully local brand, designed and built by Pecan Engineering. The heater contains a wood-burning cube that sits on a bench, and its aesthetics are unmatched, with a stylish, contemporary feel. The base of the fireplace is made from 6mm ceramic glass, and the rest of the furnace is built out of 6mm steel. It’s a techy little fireplace, with its 3-speed remote fan. Most fireplaces have a glass door, but this one has a steel door and a glass floor. If you want something that will let you spend chilly afternoons outdoors, try something like an outdoor brazier. It’s one of our most basic heating units, and it’s less than $100. 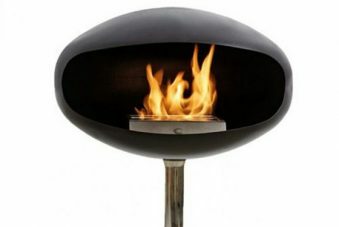 The brazier is on the smaller side – it stands half a metre high and is a little over a foot across. You’ll have to assemble it yourself, but it does come with an ash pan for easy clean-up. Be sure to book your fuel delivery from nearby suppliers. Call them early, before the rush begins. Many services will chop and stack the wood for you and can deliver a well-seasoned hardwood bags every week. This is a crucial step because collecting twigs and brush will give you a house full of smoke and woodland pests. 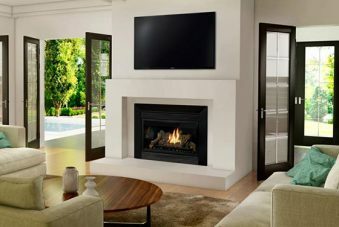 Of course, you can avoid the fuss by getting a gas fireplace or an electric unit instead. If you opt to invest in a gas Weber, you could buy one that doubles as a BBQ. Or you could get a Zesti Z1100 pizza oven. This shimmering steel wood-fired oven is great for winter meals – whether it’s piping pizza or roasted ribs. It uses logs and emits radiant heat, so you can warm up the room while you cook. It works equally well for indoor or outdoor installation, so check it out. 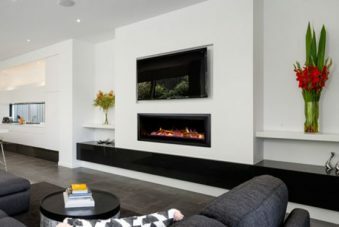 For heaters and fireplaces that will keep you warm all winter, call Hawkesbury Heating today on (02) 4571 2295.